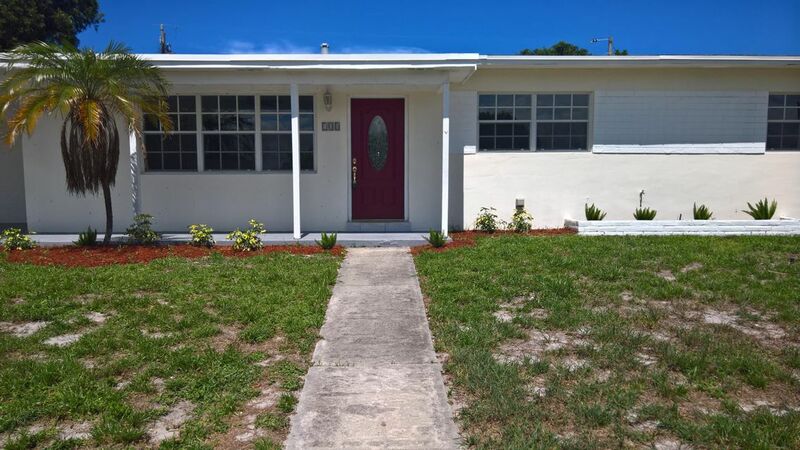 **Newly Renovated** 3 bedroom, 1.5 bath home centrally located in Lantana. NEW 3.5 ton, 14 seer split A/C! Updated kitchen with new cabinetry, granite countertops and stainless steel appliances. Title flooring through out. Completely remodeled full bath and updated half bath. Large fully screen patio leads out to a fully fenced backyard with an extra open patio for entertaining. Close to local schools and beaches, shops, dinning and I 95.